Renegade soldiers have failed to oust ailing President Ali Bongo. Aside from a struggling economy, the government has fostered ill feeling by rigging a 2016 election. As neighbouring Congo awaits its own delayed election results, it has a real-time example of how not to proceed. 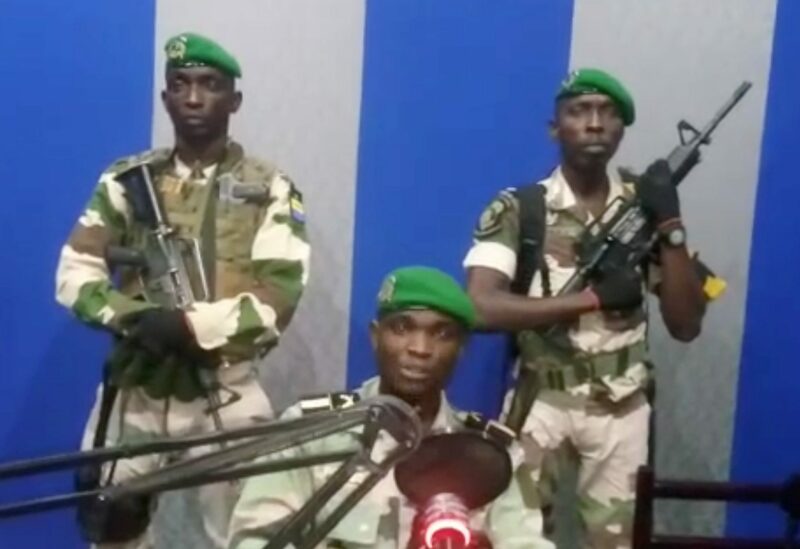 A still image taken from a video posted on January 7, 2019, shows military officers giving a statement from a radio station in Libreville, Gabon. Military officers in Gabon staged an apparent coup attempt early on Jan. 7, seizing the state radio to criticise President Ali Bongo, who has been in Morocco for two months recovering from a stroke. Several of the putschists were arrested within hours, the government said. Ali Bongo, 59, became president in 2009 after the death of his father, Omar Bongo, who had run the central African oil producer since 1967. The yield on Gabon’s 2024 Eurobond rose 8 basis points to 8.754 percent. The head of the Democratic Republic of Congo’s election commission said preliminary results from a Dec. 30 vote would be delayed beyond a Jan. 6 deadline. The influential Catholic Church said it had identified a clear winner, an intervention widely interpreted as a warning against trying to rig the result.